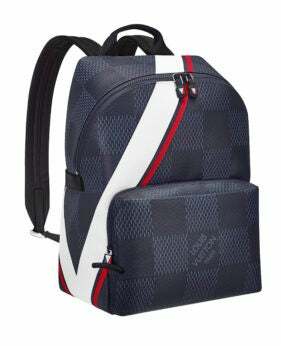 Travel and Louis Vuitton. For over 150 years, the two have been inextricably linked. And while classic monogrammed trunks covered in stamps from exotic destinations instantly come to mind, there’s so much more, as you can see firsthand at the house’s New York exhibit, Volez, Voguez, Voyagez. 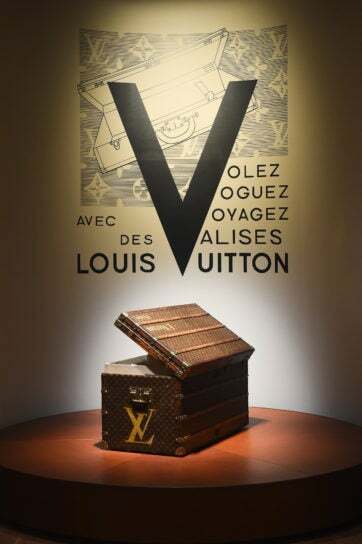 For its third exhibit, Louis Vuitton looks deep into its archives and presents a stunning collection that traces its history, and showcases its craftsmanship and innovative spirit. There are rooms dedicated to classic trunks, specialized trunks for newfangled inventions like the automobile, writing, fashion, beauty and music. Expect to see stunning pieces including Paul Poiret’s trunk from 1911, Pierre Sechiari’s violin case, trunks containing bookcases or desks, and even a monogrammed trunk holding a zinc tub filled with flowers, which George Vuitton would send as a gift to top clients. Weaving your way through the exhibit, you’ll trace its history from the early trunks to the game-changing Stephen Sprouse collaboration and some of designer Marc Jacob’s most iconic looks. End at an exclusive room dedicated to Louis Vuitton and the Americas, including archival pieces from the World’s Expo in 1893, highlights from the Stephen Sprouse collaboration and pieces owned by notable Americans including Mary Pickford and Diana Vreeland. The exhibit will take place at the former American Stock Exchange building, 86 Trinity Place, New York, from October 27, 2017 to January 7, 2018, +1 866 884 8866 or make reservations online at louisvuitton.com. Click through the gallery for a look into the Louis Vuitton Volez, Voguez, Voyagez exhibit.